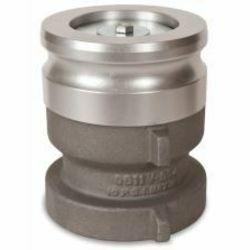 OPW Vertical Check Valves are installed on suction system fuel lines directly below the inlet to the pump in the dispenser island to maintain prime. 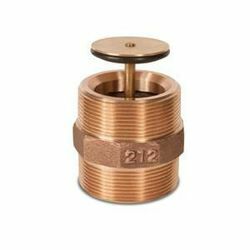 The 70 Series Valves feature a built-in shear groove, which helps minimize piping damage if the dispenser is pulled over or dislodged by collision. The single-poppet provides redundant protection from losing prime and are also available without shear grooves. OPW Vertical Check Valves are recommended for use on suction lines where the pressure does not exceed 34 feet of head (approximately 15 psi [1 bar]). 70 Series valves need 1/2" of mercury to activate the poppet. The 70S series has some additional features, including the Stabilizer Mounting Bosses which are three bosses in the lower portion of the valve body to allow for rigid mounting to stabilizer bars. Use FlexWorks mounting plate with appropriate stabilizer bar kit. Also, a Built-In-Air-Test Port which allows air testing of the entire pumping system without breaking the line. Also allows line to be drained from the valve to the tank (assuming there are no other check or foot valves below the 70S). Returning vapor back to the tank truck during a product drop. A poppeted valve seals vapor tight when uncoupled. 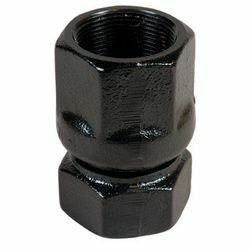 Only Universal offers a male threaded adapter with a shear point. The shear point is designed to protect piping against damage during filling of the underground sorage tank. For use with E-85 fuel blend. 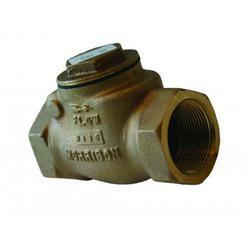 Foot valves are used to maintain the prime in suction system fuel lines. The foot valves are installed at the bottom of the suction pipe at the bottom of an underground storage tank. Single poppet foot valves are typically used where easy access to the valve is available. Double poppet models offer twice as much protection for maintaining the prime. Both 1½" models can be used with EBW 320 extractor fittings. 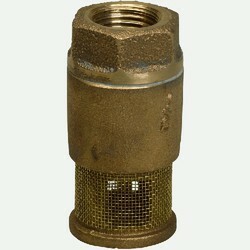 • 24 mesh screen protects the valve from debris. • All valves are pressure tested to ensure accuracy. Designed for to prevent backflow in horizontal piping systems. 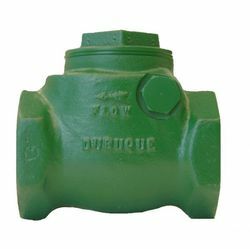 Swing check valves allow liquid to flow in a single direction. Universal 212VPR is mounted in fuel lines at the submersible pump to hold the prime and prevent premature tripping of mechanical leak detectors. The valves relieve thermal expansion between the pump head and dispenser. 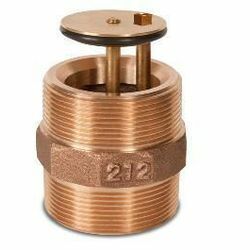 Universal 212BPR is mounted in fuel lines at the submersible pump to hold the prime and prevent premature tripping of mechanical leak detectors. The valves relieve thermal expansion between the pump head and dispenser. Holds the prime in suction systems. Mounts in the fuel line directly below the pump. 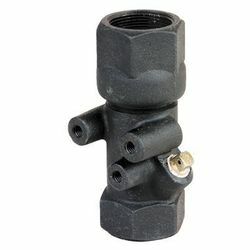 Can be used as a multi-purpose, "in-line" check valve.